The industry that brings juicy blueberries from Hawke’s Bay to breakfast tables around the country may be threatened by a lack of pickers, if the New Zealand company recruiting seasonal workers from the Solomon Islands continues to face extortion and threats. Anthony Rarere has been involved in the Recognised Seasonal Employers Scheme (RSE) for the last decade, first as an immigration officer managing the RSE team at Immigration New Zealand, before crossing the fence to become the general manager of Pick Hawke’s Bay in 2012. Every year, Anthony travels across the Pacific recruiting seasonal workers for 50 Hawke’s Bay orchards. He is in charge of over 400 RSE workers, 133 of whom are Solomon Islanders. Seventy five of those are women, selected specifically to harvest for Gourmet Blueberries. 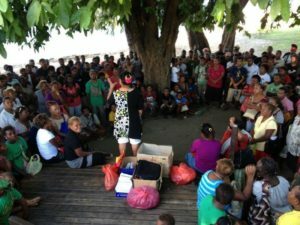 Anthony and his wife Rina recruit from across the Pacific, and they have been to the Solomon Islands six times – most recently in August 2017. But on recent trips, Anthony reports he has been threatened and intimidated. “It’s not an easy place to recruit out of. There’s a high level of corruption,” says Anthony. “There’s always a horror story … The last time we went I got threatened by a police officer unless I employed his wife. “The year before that we were driving down the main road and someone threw a rock through our window. “We had 1000 people turn up for recruitment, most of them couldn’t get jobs and got quite violent and abusive. 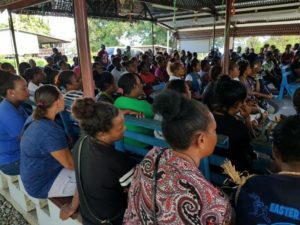 The Rareres say they have not experienced these levels of intimidation elsewhere in the Pacific, and as a result they no longer feel safe in the Solomon Islands. This is already having an impact on how many Solomon Islanders are employed under the scheme. “We’ve made a conscious effort to reduce [recruitment] out of the Solomon Islands this year,” says Anthony. Anthony was born and bred in Hawke’s Bay. He grew up picking fruit on his family’s orchards and he understands the business like the back of a seasoned hand. Anthony recalls, before the RSE scheme, standing on his uncle’s orchard at 6am while local workers didn’t show up, his uncle despairing at the unreliability of picking teams typically made up of itinerant backpackers, students and the unemployed. What the RSE scheme has offered the horticulture and viticulture industries in New Zealand is a large work force of hard-working, motivated pickers who are vital to a growing industry. What is the RSE scheme? 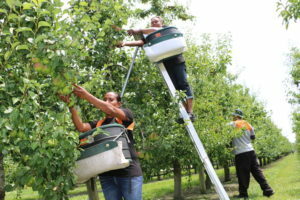 The RSE scheme came into effect in April 2007, and is a policy allowing horticulture and viticulture industries to recruit workers from overseas for seasonal work when there are not enough New Zealand workers. 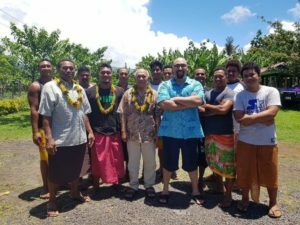 There are nine eligible Pacific countries, and in December 2017 the scheme’s cap on the number of workers that can be recruited was expanded from 5,000 to 11,000. Around 600 Solomon Island workers are recruited each year work in horticulture and viticulture industries in regions across the country. 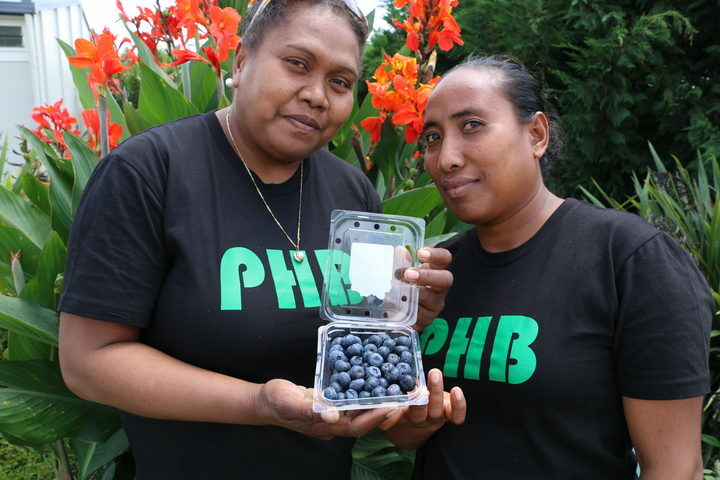 Roselyn Givi and Janet Meimana are among 75 Solomon Island women recruited to pick blueberries in the Bay this year. Janet hails from Isobel Island in the outer provinces of the Solomon’s archipelago. After 2014’s Cyclone Ita washed away their family’s crops, Janet’s RSE earnings became vital for feeding her family and rebuilding her family’s home. “We send money back home to help our families because on the island they are short of food, she says. It’s a story that Anthony says he hears again and again, and he acknowledges that the threats he has been facing are born out of desperation. If recruiters like Anthony refuse to go to the Solomons, it would have a huge impact, not just on people like Janet and her family, but for the country’s economy as a whole. 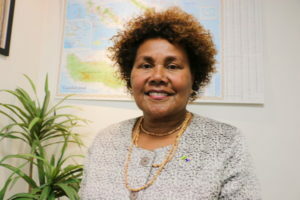 Joy Kere, the High Commissioner for the Solomon Islands in New Zealand, agrees that the RSE scheme offers indisputable economic benefits. Anthony says he has complained about the threats made against him and about feeling unsafe, but that nothing has changed. 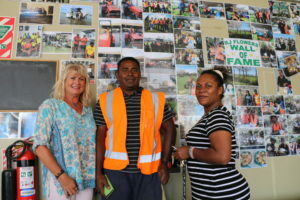 The Solomon Islands government has set up the Labour Mobility Unit to provide liaison between locals and recruiters and a national policy is currently being developed to iron out the corruption issues, but Joy Kere says this will take two years to implement. With this new policy still several years away from being implemented, Voices asked Joy about what could be done at a local government level to protect recruiting personnel like Anthony in the interim. “In terms of the issue of personal security, the Solomon Islands takes this feedback very seriously and looks very seriously at improving its recruitment processes. These are our visitors to our country. Through the law and order, our police will look after protection of people who come to recruit”, she says. Anthony says he would like to see the security issue resolved as he’s still keen to recruit Solomon Islanders, who have earned a great reputation as very diligent workers here. He points out it’s not just the pickers who stand to gain. Orchard owners like John Evans, who manages RJ Flowers Orchards in Twyford, see RSE workers as critical to the survival of orchards, wineries and the local economy. For John and RJ Flowers, the RSE workers have become more than just seasonal employees.